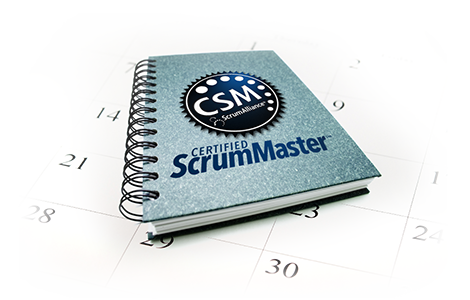 Intensive 2-day Certified ScrumMaster Class taught by a Certified Scrum Trainer (CST)! We guarantee you will leave this class a Certified ScrumMaster with the Scrum knowledge to positively impact your projects. All class materials are included, along with 15 PDU credits from the Project Management Institute(PMI). Instant email confirmation and instructor follow-up within 1 business day. Instant email confirmation and instructor follow-up within 1 business day. Class to be held at Holiday Inn Express & Suites Jacksonville 4675 Salisbury Road South Jacksonville, FL 32256 , with full location details provided following enrollment. Breakfast and snacks included for all students. Class to be held at Courtyard San Diego Airport/Liberty Station 2592 Laning Rd San Diego CA 92106 , with full location details provided following enrollment. Breakfast and snacks included for all students. Class to be held at 25 East Jackson Boulevard Chicago IL 60604 , with full location details provided following enrollment. Breakfast and snacks included for all students. Class to be held at Homewood Suites Columbia, MD 8320 Benson Dr. Columbia MD 21045 , with full location details provided following enrollment. Breakfast and snacks included for all students. Class to be held at Homewood Suites Dulles Airport 13460 Sunrise Valley Dr. Herndon VA 20171 , with full location details provided following enrollment. Breakfast and snacks included for all students. Class to be held at Hilton Garden Inn Pittsburgh University Place 3454 Forbes Avenue Pittsburgh, PA 15213 , with full location details provided following enrollment. Breakfast and snacks included for all students. Class to be held at Learning Tree Education and AnyWare Centre IT Training in Toronto 69 Yonge St #1306 Toronto ON M5E 1K3, , with full location details provided following enrollment. Breakfast and snacks included for all students. Class to be held at Hampton Inn & Suites Atlanta Galleria 2733 Circle 75 Pkwy Atlanta, GA 30339 , with full location details provided following enrollment. Breakfast and snacks included for all students. Class to be held at Centriq Training 1740 W 92nd Street Kansas City MO 64114 , with full location details provided following enrollment. Breakfast and snacks included for all students. Class to be held at Doubletree Hotel New Orleans Airport 2150 Veterans Blvd Kenner LA 70062 , with full location details provided following enrollment. Breakfast and snacks included for all students. Class to be held at Microtek Dallas 5430 Lyndon B Johnson Fwy Three Lincoln Centre, Suite 300 Dallas TX 75240 , with full location details provided following enrollment. Breakfast and snacks included for all students. Class to be held at Courtyard Detroit Livonia 17200 N Laurel Park Drive Livonia, MI 48152 , with full location details provided following enrollment. Breakfast and snacks included for all students. Class to be held at Please call ASPE for location details at 1-877-800-5221 New York, NY 10001 , with full location details provided following enrollment. Breakfast and snacks included for all students. Class to be held at Learning Tree Education and AnyWare Centre IT Training in Ottawa Place Bell, 2300, Elgin St Ottawa ON K2P 2N8 , with full location details provided following enrollment. Breakfast and snacks included for all students. Class to be held at Hyatt House Charlotte Center City 435 East Trade Street Charlotte, NC 28202 , with full location details provided following enrollment. Breakfast and snacks included for all students.